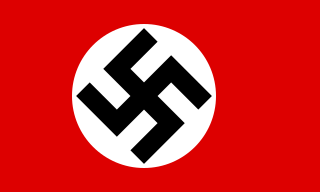 Diplomatically, New Zealand had expressed vocal opposition to fascism in Europe and also to the appeasement of Fascist dictatorships,  and national sentiment for a strong show of force met with general support. Economic and defensive considerations also motivated the New Zealand involvement—reliance on Britain meant that threats to Britain became threats to New Zealand too in terms of economic and defensive ties. 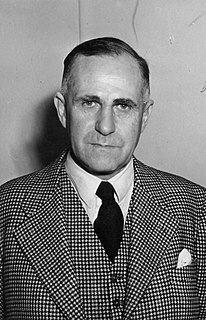 Michael Joseph Savage was a New Zealand politician who served as the 23rd Prime Minister of New Zealand, heading the First Labour Government from 6 December 1935 until his death. 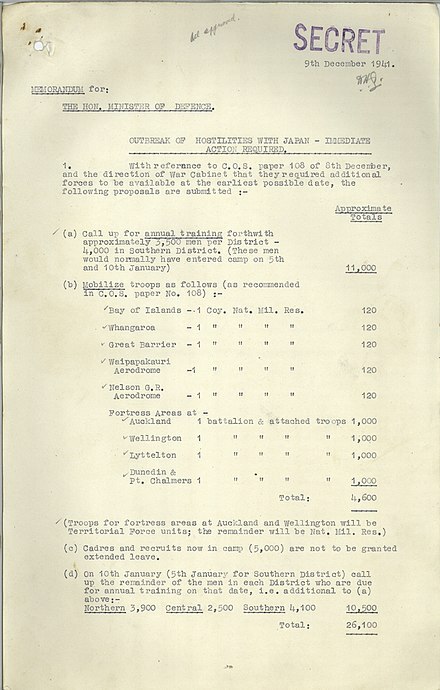 Memorandum of 9 December 1941, providing for mobilization of New Zealand troops. The New Zealand authorities deployed the 2nd New Zealand Expeditionary Force for combat in three echelons — all originally destined for Egypt, but one diverted to Scotland (it would arrive there in June 1940) following the German invasion of France. In April 1941, after a period training in Egypt, 2NZEF's New Zealand 2nd Division, stationed in Egypt, deployed to take part in the defence of Greece against invasion by Italian troops, and soon German forces too when they joined the invasion. This defence was mounted alongside British and Australian units - the corps-size Commonwealth contingent under the command of British General Henry Maitland Wilson known together as W Force, supported a weakened Greek Army. As German panzers began a swift advance into Greece on 6 April, the British and Commonwealth troops found themselves being outflanked and were forced into retreat. 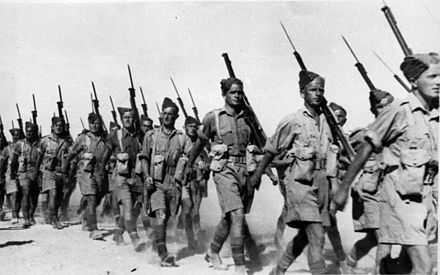 By 9 April, Greece had been forced to surrender and the 40,000 W Force troops began a withdrawal from the country to Crete and Egypt, the last New Zealand troops leaving by 29 April. Two of the three brigades of the New Zealand 2nd Division had evacuated to Crete from Greece (the third and division headquarters went to Alexandria). New Zealanders bolstered the Crete garrison to a total of 34,000 British and Commonwealth soldiers (25,000 evacuated from Greece) alongside 9,000 Greek troops (see Crete order of battle for more detail). Evacuated to Crete on 28 April (having disregarded an order to leave on 23 April), the New Zealand General Freyberg became commander of the Allied forces on Crete on the 30th. Ultra intercepts of German signals had already alerted Allied commanders to the German plans to invade Crete with Fallschirmjäger (Luftwaffe paratroopers). With this knowledge, General Freyberg began to prepare the island's defences, hampered by a lack of modern and heavy equipment, as the troops from Greece had in most cases had to leave only with their personal weapons. Although German plans had underestimated Greek, British and Commonwealth numbers, and incorrectly presumed that the Cretan population would welcome the invasion, Freyberg was still faced with the harsh prospect that even lightly equipped paratroopers could overwhelm the island's defences. Operation Mercury opened on 20 May when the German Luftwaffe delivered Fallschirmjäger around the airfield at Maleme and the Chania area, at around 8:15 pm, by paradrop and gliders. Most of the New Zealand forces were deployed around this north-western part of the island and with British and Greek troops they inflicted heavy casualties upon the initial German attacks. Despite near complete defeat for their landing troops east of the airfield and in the Galatas region, the Germans were able to gain a foothold by mid-morning west of Maleme Airfield (5 Brigade's area) - along the Tavronitis riverbed and in the Ayia Valley to the east (10 Brigade's area - dubbed 'Prison Valley'). Over the course of the morning, the 600-strong New Zealand 22 Battalion defending Maleme Airfield found its situation rapidly worsening. The battalion had lost telephone contact with the brigade headquarters; the battalion headquarters (in Pirgos) had lost contact with C and D Companies, stationed on the airstrip and along the Tavronitis-side of Hill 107 (see map) respectively and the battalion commander, Lieutenant-Colonel Leslie Andrew (VC) had no idea of the enemy paratrooper strength to his west, as his observation posts lacked wireless sets. While a platoon of C Company situated northwest of the airfield, nearest the sea, was able to repel German attacks along the beach, attacks across the Tavronitis bridge by Fallschirmjäger were able to overwhelm weaker positions and take the Royal Air Force camp. Not knowing whether C and D Companies had been overrun, and with German mortars firing from the riverbed, Colonel Andrew (with unreliable wireless contact) ordered the firing of white and green signals - the designated emergency signal for 23 Battalion (to the south-east of Pirgos), under the command of Colonel Leckie, to counterattack. The signal was not spotted, and further attempts were made to get the message through to no avail. At 5:00 pm, contact was made with Brigadier James Hargest at the New Zealand 2nd Division headquarters, but Hargest responded that 23 Battalion was fighting paratroopers in its own area, an untrue and unverified assertion. Faced with a seemingly desperate situation, Colonel Andrew played his trump card — two Matilda tanks, which he ordered to counterattack with the reserve infantry platoon and some additional gunners turned infantrymen. The counterattack failed — one tank had to turn back after suffering technical problems (the turret would not traverse properly) and the second ignored the German positions in the RAF camp and the edge of the airfield, heading straight for the riverbed. This lone tank stranded itself quickly on a boulder, and faced with the same technical difficulties as the first Matilda, the crew abandoned the vehicle. The exposed infantry were repelled by the Fallschirmjäger. At around 6:00 pm, the failure was reported to Brigadier Hargest and the prospect of a withdrawal was raised. Colonel Andrew was informed that he could withdraw if he wished, with the famous reply "Well, if you must, you must," but that two companies (A Company, 23 Battalion and B Company, 28 (Māori) Battalion) were being sent to reinforce 22 Battalion. To Colonel Andrew, the situation seemed bleak; ammunition was running low, the promised reinforcements seemed not to be forthcoming (one got lost, the other simply did not arrive as quickly as expected) and he still had no idea how C and D companies were. The two companies in question were in fact resisting strongly on the airfield and above the Tavronitis riverbed and had inflicted far greater losses on the Germans than they had suffered. At 9:00 pm, Andrew made the decision to make a limited withdrawal, and once that had been carried out, a full one to the 21 and 23 Battalion positions to the east. By midnight, all of 22 Battalion had left the Maleme area, with the exception of C and D Companies which withdrew in the early morning of the 21st upon discovering that the rest of the battalion had gone. This allowed German troops to seize the airfield proper without opposition and take nearby positions to reinforce their hold on it. Junkers Ju 52 transport aircraft flew in ammunition and supplies, as well as the rest of the Fallschirmjäger and troops of the 5th Mountain Division. Although the landings were extremely hazardous, with the airstrip under direct British artillery fire, substantial reinforcement was made. On 21 May, the village of Maleme was attacked and captured,[ clarification needed ] and a counterattack was made by the 20 Battalion (with reinforcements from the Australian 2/7 Battalion), 28 (Māori) Battalion and later 21 Battalion. The attack was hampered by communications problems and although the New Zealanders made significant advances in some areas, the overall picture was one of stiff German resistance. 5 Brigade fell back to a new line at Platanias, leaving Maleme securely in German hands, allowing them to freely build up their force in this region. Days four and five featured only skirmishes between the two forces. Luftwaffe air raids targeted Galatas on 25 May at 8:00 am, 12:45 pm and 1:15 pm, and the German ground attack came at around 2:00 pm. 100 Mountain and 3 Parachute Regiment attacked Galatas and the high ground around it, while two battalions of 85 Mountain Regiment attacked eastwards, with the aim of cutting Chania off. The New Zealand defenders, though prepared, suffered from a disadvantage: 18 Battalion, 400 men, was the only fresh infantry formation on the line — the rest were non-infantry groups like the Petrol Company and the Composite Battalion, consisting of mechanical, supply and artillery troops. The fighting was fierce, especially along the north of the line, and platoons and companies were forced to retreat. Brigadier Lindsay Inglis called for reinforcement and received 23 Battalion, which, along with an improvised group of reinforcements scraped together at Brigade headquarters (including the brigade band and the Kiwi Concert Party), stabilised the north of the line. South of Galatas, only 18 Battalion and the Petrol Company were defending - 18 Battalion was forced to withdraw, and the Petrol Company on Pink Hill followed suit after eventually becoming aware of this. 19 Battalion was the only formation still in combat on Pink Hill, and they too withdrew. These forces withdrew past Galatas, as no defenders were in the village to link up with. By nightfall, German troops had occupied Galatas, and Lieutenant-Colonel Howard Kippenberger prepared a counterattack. Two tanks led two companies of 23 Battalion into Galatas at a running pace - heavy fire was encountered and as the tanks went ahead towards the town square, the infantry cleared each house of German soldiers as they worked inward. When the infantry caught up with the tanks, they found one out of action. With German fire coming primarily from one side of the square, a bayonet charge was mounted and the New Zealanders cleared the German opposition. Patrols quelled resistance elsewhere in Galatas - apart from one small strongpoint, Galatas was back in New Zealand hands. While New Zealand soldiers formed the majority of the personnel of the Long Range Desert Group when it was formed in 1940, and a small number of New Zealand transport and signals units supported Operation Compass in the Western Desert in December 1940, it was not until November 1941 that the 2nd New Zealand Division became fully involved in the North African Campaign. Following its evacuation from Crete, the division regrouped at its camp near Maadi, at the base of the desert slopes of Wadi Digla and Tel al-Maadi. Reinforcements arrived from New Zealand to bring the division back up to strength and the training, cut short by the deployment to Greece and Crete, was completed. On 18 November 1941, Operation Crusader was launched to lift the Siege of Tobruk (the third such attack), under the command of Lieutenant-General Alan Cunningham and the 2nd New Zealand Division (integrated into the British Eighth Army) took part in the offensive, crossing the Libyan frontier into Cyrenaica. Operation Crusader was an overall success for the British, although Erwin Rommel's Afrika Korps inflicted heavy armour and infantry losses before its weakened and under-supplied units retreated to El Agheila and halted the British advance. 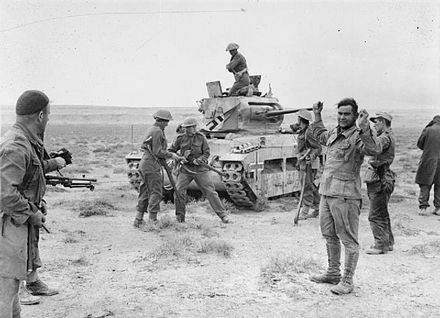 The New Zealand troops were the ones to relieve Tobruk after fighting around Sidi Rezegh, where Axis tanks had inflicted heavy casualties against the several New Zealand infantry battalions, protected by very little of their own armour. In February 1942, with Crusader completed, the New Zealand government insisted that the division be withdrawn to Syria to recover – 879 men were killed and 1,700 wounded during the operation, the most costly battle the 2nd New Zealand Division fought in the Second World War. On 14 June 1942, the generals recalled the New Zealanders from their occupation duties in Syria, as the Afrika Korps had broken through Gazala and captured Tobruk. The New Zealanders, put on the defence, found themselves encircled at Minqar Qa'im, but escaped thanks to brutally efficient hand-to-hand fighting by 4 Brigade. The British forces prevented Rommel's advance from reaching Alexandria, Cairo and the Suez Canal in the First Battle of El Alamein, where New Zealand troops captured Ruweisat Ridge in a successful night attack. However, they were unable to bring their anti-tank weapons forward, and more importantly, British armour did not move forward to support the soldiers. Heavy casualties were suffered by the two New Zealand brigades involved, as they were attacking by German tanks, and several thousand men were taken prisoner. Charles Upham earned a bar for his Victoria Cross in this battle. With the Eighth Army now under the new command of Lieutenant-General Bernard Montgomery, the Army launched a new offensive on 23 October against the stalled Axis forces in the Second Battle of El Alamein. On the first night, as part of Operation Lightfoot, the New Zealand 2nd Division, with British divisions, moved through the deep Axis minefields while engineers cleared routes for British tanks to follow. The New Zealanders successfully captured their objectives on Miteiriya Ridge. By 2 November, with the attack bogged down, Montgomery launched a new initiative to the south of the battle lines, Operation Supercharge, with the ultimate goal of destroying the Axis army. The experienced 2nd New Zealand Division was called on to carry out the initial thrust - the same sort of attack they had made in Lightfoot. As the under-strength division could not achieve this mission alone, two British brigades were attached. The German line was breached by British armour and, on 4 November, the Afrika Korps, faced with the prospect of complete defeat, skillfully withdrew. The New Zealanders continued to advance with the Eighth Army through the Tunisia Campaign, driving the Afrika Korps back into Tunisia, and notably fought at Medenine, the Tebaga Gap and Enfidaville. On 13 May 1943, the North African campaign ended with the surrender of the last 275,000 Axis troops in Tunisia. On 15 May, the division began a withdrawal back to Egypt and, by 1 June, the division had returned to Maadi and Helwan, on standby for use in Europe. Total losses for the 2nd New Zealand Division since November 1941 stood at 2,989 killed, 7,000 wounded and 4,041 taken prisoner. During October and November 1943, New Zealand troops from the 2nd New Zealand Division assembled in Bari in Apulia, weeks after the Allied invasion of Italy. In November, the division crossed the Sangro River with a view to breaching the German Gustav Line and advancing to Rome, capturing the village of Castelfrentano in the Abruzzo (part of the Gustav Line) on 2 December. The division attacked Orsogna on the next day, but was repulsed by the strong German defence. In January 1944, the 2nd New Zealand was withdrawn from the stalled front line and transferred to the Cassino sector, where other Allied troops were bogged down in costly fighting for the position of Monte Cassino. On 17 February, the division attacked Cassino but it was strongly defended and they withdrew in early April. Cassino was eventually captured on 18 May by British and Polish troops, with the support of New Zealand artillery units. On 16 July, the division captured Arezzo and reached Florence on 4 August. By the end of October they had reached the Savio River, and Faenza was captured on 14 December. In Operation Grapeshot, the final Allied offensive in Italy, the division crossed the Senio River on 8 April 1945, then began their final push across the Santerno and Gaiana Rivers, finally crossing the Po River on Anzac Day 1945. The division captured Padua on 28 April 1945, crossed the Isonzo River on 1 May, and reached Trieste on 2 May, the day of the German unconditional surrender. HMNZS Leander fires on the Japanese cruiser Jintsu . On 13 December 1939, New Zealand deployed its naval forces against Germany and Italy. The first vessel into action against Japan, the minesweeper HMNZS Gale, steamed forward to Fiji, arriving on Christmas Day, 1941. HMNZS Rata and Muritai arrived in January 1942, followed by the corvettes HMNZS Moa , Kiwi and Tui , to form a minesweeping flotilla. The cruiser HMS Gambia bombarded Sabang (in Sumatra) in July 1944, and with the recommissioned Achilles joined the British Pacific Fleet, later re-inforced by the corvette Arbutus . The Fleet detached Achilles to tow the damaged destroyer Ulster to the New Zealand Hospital Ship Maunganui in the Philippines (where the[ clarification needed ] was at that time stationed). Both Gambia and Achilles bombarded Japanese positions in the Sakishima Group in May 1945. 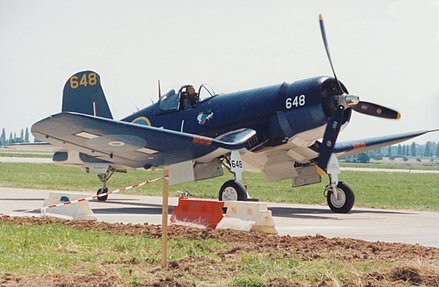 They were supported by 100 New Zealanders in the Fleet Air Arm operating from British carriers. The Achilles left the fleet for Manus Island on 10 August. Gambia was off Tokyo on VJ day, and was attacked by a Japanese plane while flying the “Cease hostilities” signal - with assistance from surrounding ships, Gambia shot down the aircraft but was hit by the debris. 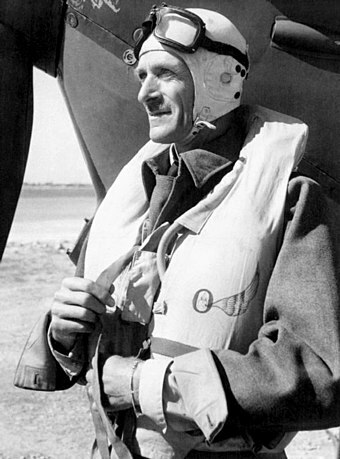 Air Chief Marshal Park, the NZ Commander in the Battle of Britain. 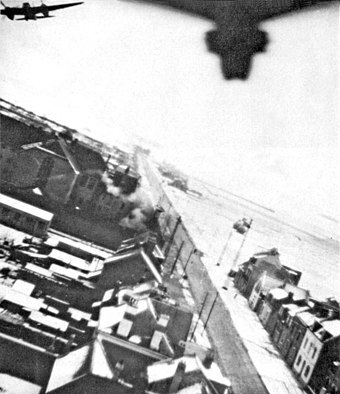 NZ Mosquitoes over Amiens during Operation Jericho, the jailbreak raid. The Royal Air Force deliberately set aside certain squadrons for pilots from particular countries. The first of these, 75 Squadron, comprised the Wellingtons and pilots lent by New Zealand in August 1939, which later flew Short Stirlings, Avro Lancasters and Avro Lincolns. Other New Zealand squadrons within the RAF included 485, which flew Supermarine Spitfires throughout the war, 486 (Hawker Hurricanes, Hawker Typhoons and Hawker Tempests), 487 (Lockheed Venturas and De Havilland Mosquitoes), 488 (Brewster Buffaloes, Hurricanes, Bristol Beaufighters and De Havilland Mosquitoes), 489 (Bristol Blenheims, Bristol Beauforts, Handley Page Hampdens, Beaufighters, and Mosquitoes), and 490 (Consolidated Catalinas and Short Sunderlands). As few combat-capable aircraft were available at home, and Britain was unable to help, New Zealand benefited from the British-United States lend-lease agreement. Gradually, America supplied New Zealand with aircraft for use in the Pacific Theatre. The early lend-lease aircraft were obsolescent models like the Brewster Buffalo which were no match for the skilled and well-equipped Japanese pilots, although the Brewster was successfully used by Geoffrey Fisken the top New Zealand and Commonwealth ace in the Pacific. Brigadier Leslie Wilton Andrew, was a senior officer in the New Zealand Military Forces and a recipient of the Victoria Cross, the highest award of the British Commonwealth for gallantry "in the face of the enemy". He received the decoration for his actions during the Battle of Passchendaele in 1917. The New Zealand Expeditionary Force (NZEF) was the title of the military forces sent from New Zealand to fight alongside other British Empire and Dominion troops during World War I (1914–1918) and World War II (1939–1945). Ultimately, the NZEF of World War I became known as the First New Zealand Expeditionary Force. The NZEF of World War II was known as the Second New Zealand Expeditionary Force (2NZEF). No. 75 Squadron RNZAF was an air combat squadron of the Royal New Zealand Air Force. 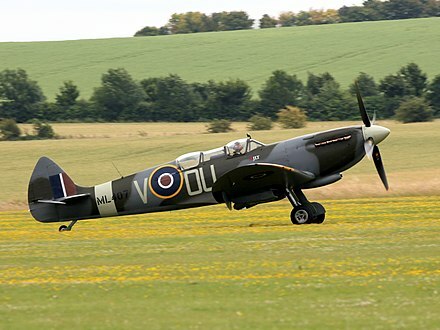 It was formed from the RAF's World War II bomber squadron, No. 75 Squadron, which had been initially equipped by the New Zealand government and was largely manned by New Zealanders. The squadron was created when, in a unique gesture, the squadron number, colours and battle honours were transferred to the RNZAF in 1946. It had flown more sorties and suffered more casualties than any other in the European theatre. 14 Squadron RNZAF is a squadron of the Royal New Zealand Air Force. In 2015 the squadron was re-raised and equipped with 11 Beechcraft T-6 Texan II. A new aerobatic display team called the Black Falcons was also formed using the new aircraft. They replaced the RNZAF display team known as the Red Checkers. No. 75 Squadron of the Royal Air Force operated as a bomber unit in World War II, before being transferred to the Royal New Zealand Air Force in 1945. 488 Squadron was the name given to two distinct Royal New Zealand Air Force squadrons during the Second World War. Both were formed under Article XV of the Empire Air Training Scheme and served under the operational command of the Royal Air Force. This is the complete order of battle for the Battle of Crete and related operations in 1941. 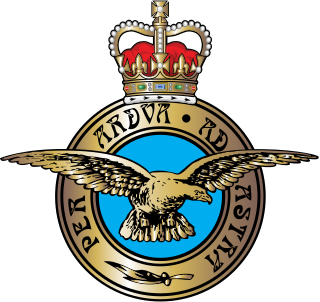 489 (NZ) Squadron was formed from pilots of the Royal New Zealand Air Force on 12 August 1941 under RAF Coastal Command as an anti-submarine and reconnaissance unit. Major General Sir Howard Karl Kippenberger,, known as "Kip", was an officer of the New Zealand Military Forces who served in the First and Second World Wars. 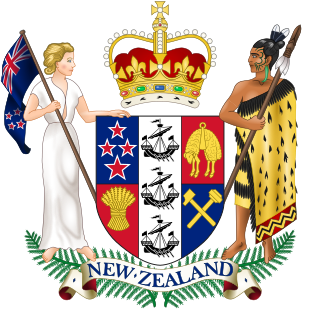 The military history of New Zealand is an aspect of the history of New Zealand that spans several hundred years. When first settled by Māori almost a millennium ago, there was much land and resources, but war began to break out as the country's carrying capacity was approached. Initially being fought with close range weapons of wood and stone, this continued on and off until Europeans arrived, bringing with them new weapons such as muskets. 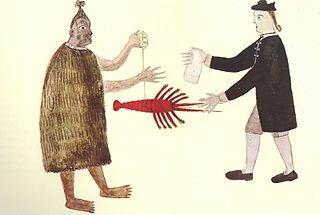 Colonisation by Britain led to the New Zealand land wars in the 19th century in which settler and imperial troops and their Māori allies fought against other Māori and a handful of Pākehā. In the first half of the 20th century, New Zealanders of all races fought alongside Britain in the Boer War and both World Wars. In the second half of the century and into this century the New Zealand Defence Force has provided token assistance to the United States in several conflicts. New Zealand has also contributed troops extensively to multilateral peacekeeping operations. The Divisional Cavalry Regiment, was an armoured cavalry regiment of the 2nd New Zealand Division during the Second World War and was New Zealand's first armoured unit. It served as a reconnaissance force for the 2nd New Zealand Division. Formed on 29 September 1939, the regiment embarked for Egypt on 4 January 1940. It fought with the division, as part of the 2nd New Zealand Expeditionary Force, in Greece, Crete, North Africa and Italy. The regiment formed part of J Force, New Zealand's contribution to the occupation of Japan at the end of the war. J Force was the name given to the New Zealand forces that were allocated to the British Commonwealth Occupation Force (BCOF) which occupied Japan following the end of the Second World War. The force was deployed between 1946 and 1948, after which it was disbanded and its personnel repatriated to New Zealand. Lieutenant General Sir Edward Puttick, was an officer who served with the New Zealand Military Forces during the First and Second World Wars. The first New Zealand-born soldier to reach the rank of lieutenant general, he was Chief of the General Staff of the New Zealand Military Forces from 1941 to 1945. The 21st Battalion, was an infantry battalion of the New Zealand Military Forces, which served during the Second World War. Formed in January 1940, it was part of the 5th Brigade, 2nd New Zealand Division of the 2nd New Zealand Expeditionary Force. The battalion saw action in Greece, Crete, North Africa and Italy before it was disbanded in December 1945. The 20th Battalion was an infantry battalion of the New Zealand Military Forces, which served during the Second World War as part of the 2nd New Zealand Division. During the war it was converted to an armoured regiment. The Battle of 42nd Street was a battle fought during World War II on the Greek island of Crete. 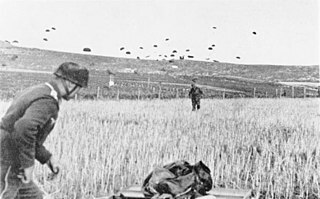 On 20 May, Nazi Germany launched an airborne invasion of Crete. A week later, after the British and Commonwealth forces defending the island had been forced to withdraw towards Chania, a force of several understrength Australian and New Zealand infantry battalions established a defensive line along the Hania to Tsikslaria road (Tsikalarion) south-east of Chania, forming a rearguard for the withdrawing troops. On 27 May, as a German battalion advanced towards the road, the Anzac defenders carried out a bayonet charge that inflicted heavy casualties on the German attackers, which forced them to withdraw and briefly halted the German advance. The 18th Battalion was a formation of the New Zealand Military Forces which served, initially as an infantry battalion and then as an armoured regiment, during the Second World War as part of the 2nd New Zealand Division. ↑ Hensley 2009, pp. 20,21. ↑ war "Proclamation on 4 September" Check |url= value (help). Auckland Star/Papers Past. 4 September 1939. ↑ Hensley 2009, pp. 21,22. ↑ BAKER, J. V. T. (1965). War Economy. Wellington: Historical Publications Branch. ↑ Hensley 2009, p. 248. ↑ Hensley 2009, p. 254. ↑ Ehrman Volume VI 1956, p. 222. ↑ McClymont 1959, p. 487. ↑ Crawford 2000, pp. 140–162. ↑ Hensley 2009, pp. 234,254. ↑ Hensley 2009, p. 235,237. ↑ Crawford 2000, p. 157. ↑ Bradley 2012, p. 395. ↑ Hensley, Gerald (2009). Beyond the Battlefield: New Zealand and its allies 1939-45. Auckland: Penguin/Viking. p. 372. ISBN 9780670074044. ↑ Jenkins 1992, pp. 147,148. ↑ Jenkins 1992, pp. 164,165. ↑ Elphick 1998, p. 262. ↑ Bou 2012, p. 115. ↑ Bou 2012, p. 18. ↑ Bou 2012, p. 48. ↑ Elphick 1998, p. 387. ↑ Smith 2000, p. 198. Bou, Jean (2012). MacArthur’s Secret Bureau: The story of the Central Bureau. Loftus, NSW, Australia: Australian Military History Publications. ISBN 978-0-9872387-1-9. Bradley, Phillip (2012). 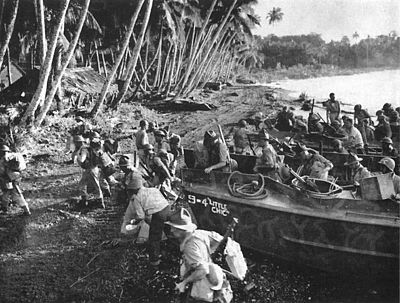 Hell's Battlefield: The Australians in New Guinea in World War II. Crow's Nest, New South Wales: Allen & Unwin. ISBN 9781742372709. Crawford, John, ed. (2000). Kia Kaha: New Zealand in the Second World War. Auckland: Oxford University Press. ISBN 0-19-558438-4. Ehrman, John (1956). Grand Strategy Volume V: August 1942 – September 1943. 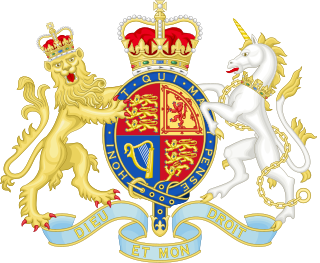 History of the Second World War: United Kingdom Military Series. London: Her Majesty's Stationery Office. OCLC 217257928. Ehrman, John (1956). Grand Strategy Volume VI: October 1944 – August 1945. History of the Second World War: United Kingdom Military Series. London: Her Majesty's Stationery Office. Elphick, Peter (1998) . Far Eastern File: The Intelligence War in the Far East 1930-1945. London: Hodder & Stoughton. ISBN 0 340 66584 X.
Hensley, Gerald (2009). Beyond the Battlefield: New Zealand and its Allies 1939-45. North Shore Auckland: Viking/Penguin. ISBN 978-06-700-7404-4. Jenkins, David (1992). Battle Surface! Japan's Submarine War Against Australia 1942–44. Sydney: Random House Australia. ISBN 0-09-182638-1. McClymont, W. G. (1959). To Greece. Official History of New Zealand in the Second World War 1939–45. Wellington, New Zealand: War History Branch. OCLC 4373298. 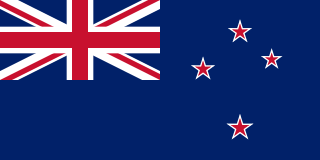 Wikimedia Commons has media related to New Zealand in World War II .